It was in 1939 in Elisabethville, nowadays known as Lubumbashi, that the Benedictine missionaries who run the Saint-Boniface Institute decided to start a football team for their pupils who devoted most of their leisure time to Boy Scout activities. The team was named FC Saint-Georges (the patron saint of Boy Scouts) by its promoters who put it straight into the first division of the Fédération Royale des Associations Sportives Indigènes (FRASI – Royal Federation of Indigenous Sporting Associations), where it finished in third place at the end of the season 1939, behind Léopold and Prince-Charles clubs, now FC Vijana Katuba and Lubumbashi-Sports. In 1944, the young scouts went on the road and the St Georges football club was renamed Saint Paul F.C. A few years later, the incorporation of various foreign elements into the Institute led the missionaries to stop managing the team which then took the name F.C. ENGLEBERT after the brand of tyres that sponsored the club. At the end of the sports season the team finished first and undefeated. To immortalize this first exploit, the managers decided to add the qualifier "TOUT PUISSANT" to ENGLEBERT. After the Congo became independent on June 30th, 1960, ENGLEBERT was restructured in 1966, took on new players and achieved a hat trick (National Championships, Katanga Cup and Congo Cup). In 1967 and 1968, it won its two African Champion Clubs Cups. It was the glory period for Tout Puissant Englebert Mazembe. The team reached the finals of the Champion Clubs Cup four years running (1967, 1968, 1969 and 1970). 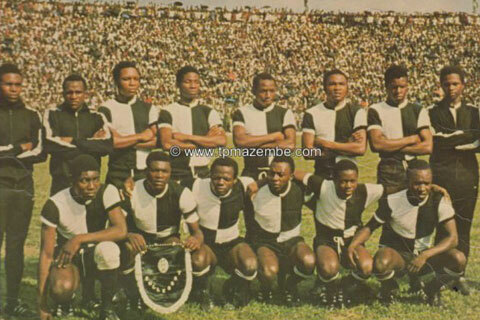 To date, TP Mazembe is the only African team to have successfully defended its title in the final. After failing to win the NKWAME N'KRUMAH permanently, TP ENGLEBERT slipped into anonymity and went through a very difficult period. On December 7th, 1980, it recaptured the magic by winning the 6th Cup Winners’ Cup. 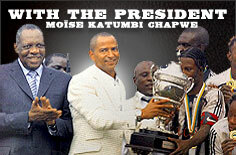 After an 18 year absence, it was back on the African stage thanks to its 38 year old chairman, Moise KATUMBI CHAPWE. 39 years later, a new page of history was being written for ‘Les Corbeaux’ (the Ravens). The team unjustly lost the urban title but won the provincial championships and, above all, the 14th edition of the National Football League. To offset these merits, the 4th continental cup in the CAF Champions League was snatched at the Kenya multi-sports stadium on November 7th, 2009 against the Nigerians of Heartland FC. After losing 2-1 at Owerri in the first leg, they did what they needed to do at Lubumbashi in the return match: 1-0 for Les Corbeaux. A continental title that opened the door to the FIFA Clubs World Cup held in Abu Dhabi in 2009. In the United Arab Emirates, the African representative finished 6th in the competition, which was won by FC Barcelona. Mazembe thus became the first sub-Saharan club to take part in this world challenge. With history’s habitual stubbornness, Les Corbeaux come back like they did in the African championships in 1967 and 1968 and achieved a remarkable success in the CAF Champions League in the 2010 season. After a hesitant start in the early rounds, the title holder had a strange moment when the FIFA gave a year’s suspension to Guy LUSADISU and Trésor MPUTU, the « black and whites » all-rounder. At that point, their millions of fans started to doubt and think that this could only result in a difficult end to their reign. “No way we are giving in”, was the answer from Chairman Moïse KATUMBI, whose motivation was warmly welcomed by the Baliangwenas who, despite this hitch, followed the club’s no. 1 as it marched on. Little by little, the team advanced thanks to its thoughtful players who were determined to offer their chairman something great: a consecration. Coach Diego GARZITTO left, replaced by Lamine NDIAYE, an ambitious Franco-Senegalese tactician, at the head of the technical staff. Under his leadership, TP Mazembe stabilised its defence and developed a solid team spirit. Sports experts already saw the Lubumbashi club keeping the trophy…It was in North Africa that the team proved its invincibility by first of all beating the Algerians of Jeunesse Sportive de Kabylie in the semi-final: 3-1 in Lubumbashi and a nil-all draw in Tizi-Ouzou. Mazembe took on Espérance Sportive de Tunis in the final, a formidable team that had crushed Les Corbeaux 3-0 during the group stage in Tunis: a resounding failure that hastened GARZITTO’s departure. In the first leg on October 31st in Lubumbashi’s multi-sport stadium that was packed to bursting, Les Corbeaux got their own back on Espérance Sportive de Tunis: 5 goals to nil, an emphatic win. There was no Tunisian miracle in Radès stadium on November 13th, where TP Mazembe maintained its course, although the locals did open the score. Young Déo KANDA, who came on during the game, equalized in the second half. Mazembe achieved the double win its devoted supporters so hoped for. 1967, 1968, 2009 and 2010: TP Mazembe club dominated Africa and went back to Abu Dhabi for the FIFA Clubs World Championships with four gold stars on their shirts. The team also won Africa’s Super Cup against Stade Malien (2-0) with goals from its Zambian players, STOPILA and SINGULUMA. In its second consecutive participation in the Clubs’ World Cup, the Katanga club amazed Planet Football. In the quarter finals, they sent Mexican club PACHUCA FC home (1-0) thanks to a goal by recidivist Hugues BEDI, from a ball perfectly served by Patou KABANGU. Lamine NDIAYE, boosted by the unshakeable faith of chairman KATUMBI, helped his players get rid of their hang-ups by persuading them that IMPOSSIBLE IS NOT MAZEMBE. In the semi-final, after resisting the Brazilians from Internacional de Porto Alegre for a long time, thanks especially to a KIDIABA on devilish form, Les Corbeaux achieved a superb feat with two goals from Patou KABANGU and Alain KALUYITUKA DIOKO (2-0). For the first time in the history of the Clubs’ World Cup, the African representative had reached the finals ! As was expected, ETO’O’s Inter Milan won the 2010 championship, but on the evening of December 18th in Abu Dhabi, it was the Congolese team TP Mazembe that excited everyone’s astonishment and admiration. At the end of January 2011, Les Corbeaux achieved their second double title African Cup/Super Cup by beating Moroccan team FUS de Rabat (0-0, then 9-8 in the penalties). The whole of the Congo can be proud of its Ravens ! Through to the last 8, Les Corbeaux are after the North Africans from WYDAD Atletic Club de Casablanca who they are beating 2-1. Beaten 1-0 in Casablanca, Patou KABANGU and Cheibane TRAORE get their own back at home and Les Corbeaux are through to the quarter finals ! The team of Espérance, crushed 6-1 by the Katangese in the 2010 final, would like to take their place away from them. Just before the draw for the group stage, it made an official complaint to the CAF against Mazembe, claiming ownership of Janvier BESALA. Without having considered the question carefully, the CAF disqualified Les Corbeaux! Out of nowhere, the titleholders were out of the competition because of a decision taken rapidly in an office of the CAF’s headquarters in Egypt. It was certainly a real conspiracy, but Chairman Moïse KATUMBI did not give up and used all the legal means available. Psychologically affected, Les Corbeaux did not abandon anything at home: they won the urban championship, as well as their sixth Linafoot title, which qualified them for the 2012 CAF Champions League. 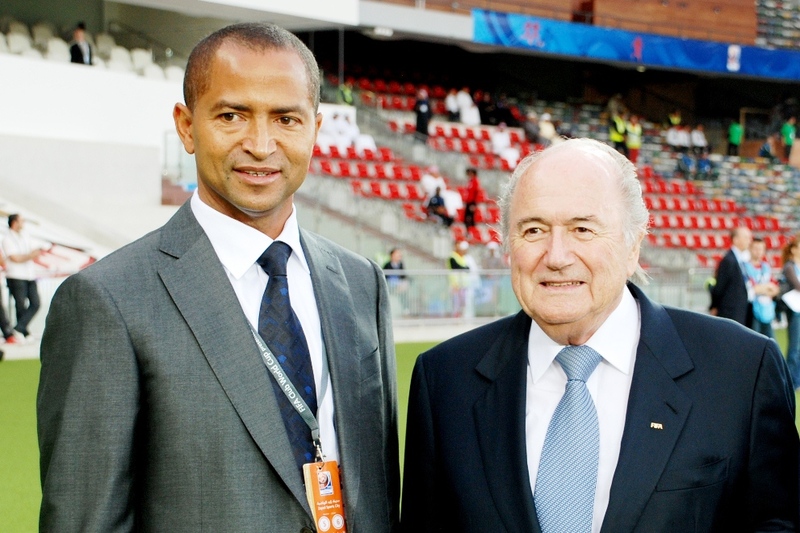 2011 was also the year that Moïse KATUMBI gave his club a 140 seat MD 83 aircraft and a Dornier to take the TPM to towns in the Congo and elsewhere in Africa for some of their away matches. When they play their first continental match on splendid artificial turf, July 22 against the Ghanaians of Berekum Chelsea, the Ravens soaring in the first half and then went off in second (2-2). This partial failure condemns them to second place in the group forcing them to encounter the Esperance in semifinals. The dream of a new final ending in Tunis when the TPM lost 0-1 on a questionable goal (foul on Kidiaba) but it is the ineffective offensive of first leg (0-0) that weighed heavily… The final victory of the Egyptian of Al Ahly left a bitter taste to the Mazembe supporters because the Ravens were treated as equals as the Pharaohs. - The introduction of an English version on the official website which ended the year with 28,000 fans on Facebook. On 12 October 2013, the TPM host in Kamalondo FC MK winner of the Cup of Congo. After a real offensive festival, the Ravens imposed themselves by 7 goals (ADJEI 2, ULIMWENGU, AWAKO, KISSI, NDONGA and SAMATTA) to zero and thus win the Super Cup of Congo 2013, trophy hold by Captain of that day Mbwana Aly SAMATTA.